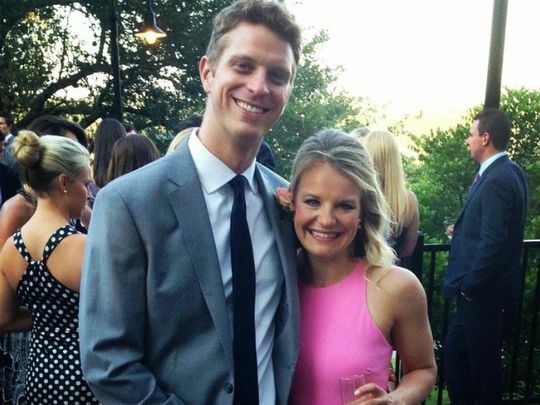 CNN breakout reporter Sara Murray, who then-candidate Donald Trump repeatedly labeled “terrible,” got married to Washington-based reporter Garrett Haake over the weekend. The two connected on candidate Mitt Romney’s tour bus in 2011. CNN’s Brian Stelter reports the revelers included Maeve Reston, Katy Tur, Tony Dokoupil, Ashley Parker, Holly Bailey, Michael Barbaro, Philip Rucker, Reid Epstein, Evan Perez, Lauren Pratapas, Rachel Streitfeld, Anthony Terrell, among others.